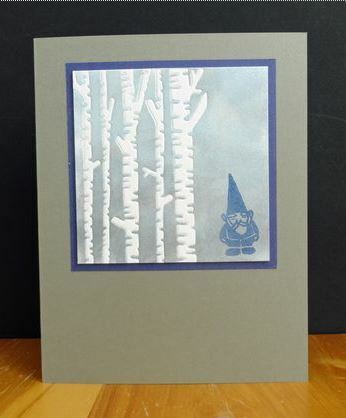 Here’s another cool way to use your die cuts that I can’t resist, use them as a resist for a card background. The All in an Inch blog has details on how to do this technique along with a lots of wonderful examples. I adore this gnome card!